You have the most powerful marketing platform in the world — make the most of it. Ready to go beyond the basics in HubSpot Academy? I’ll show you everything I know about marketing automation. In just a few minutes a day, you can watch self-study video lessons that can instantly improve your results with HubSpot. 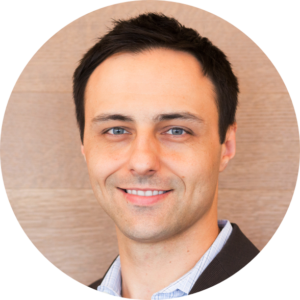 I’ll help you avoid painful setup mistakes, teach you advanced tactics, and show you everything I’ve learned running and optimizing my HubSpot portals over the past 7 years. Why listen to me? I’ve been getting my hands dirty with HubSpot every day for the past 5 years growing a $270M software company. Should I switch from WordPress to the HubSpot blog platform? Should I host my whole website in HubSpot or just my landing pages? How does UTM tagging affect my HubSpot reports? What should I use workflows for? How do I track the ROI of my marketing efforts? What about all of my offline activity? Am I making setup mistakes that I’m going to regret later? What’s missing from HubSpot that I should supplement with other products? Mastering HubSpot addresses these questions and many more. You could easily spend weeks combing through forums and reading outdated blog posts trying to get the answers you need. The goal of this course is to help cover all of your bases and avoid wasting time. After spending literally thousands of hours fine-tuning my HubSpot portal and inbound marketing strategy, I finally have a proven, repeatable system. I now know what it takes to apply sound inbound marketing techniques within the HubSpot platform to get outsized results. If I hadn’t misconfigured, misused, and completely overlooked critical parts of the software, I would have reached my goals much sooner and with a lot more money in my pockets. Mastering HubSpot is the most extensive and detailed guide of advanced HubSpot techniques and best practices available today. This resource is crammed with practical, immediately actionable things you can do to quickly maximize your investment in HubSpot. This isn’t just academic training. Mastering HubSpot is tried and tested marketing automation know-how. I personally use everything I teach in this course to run and grow my business. I’ll guide you, step-by-step, through setup, configuration, customization, optimization, and beyond. To COS or not to COS? Pre-order the full course for $397 $297. This course is currently under development, with an expected final release date of early 2019, but lessons are currently being rolled out as they’re created. Hey, I’m Rob Sobers, designer/developer turned marketing exec. I’ve turned over ever rock and hit every edge case in HubSpot. Through lots of hard work and planning, my team and I have used automation to drastically increase our monthly traffic and marketing qualified leads and you can, too. I get asked to consult with dozens of clients per year. I can only work with one or two. I got tired of saying “no” to people. Hence, this course. I want to turn talented inbound marketers into HubSpot success stories through strategies and tactics that produce successful outcomes (the kind that result in pay raises ). For a fraction of the cost of a month’s subscription to HubSpot, you’ll save weeks of time and considerably reduce the risk of failure. The documentation is great at telling you how to use the software, but it doesn’t have opinions and advice. Same the HubSpot Academy. They cover the basics and give you click-by-click instructions, but they don’t dive deep to show you how to customize HubSpot in powerful ways. I’ll also tell you when non-HubSpot tools are better for a certain job. Maybe? But this course is surely a faster way to learn how to get the most out of HubSpot. I’ve put together these videos to save you months of trial and error and digging around the internet for what you need. You can go through the lessons in order, or jump around depending on what you need, but the everything you need is neatly organized in one place. Yes! When I talk to friends that are HubSpot veterans, they’re often amazed by the ways I’ve managed to stretch the software. Plus, with access to the HubSpot Pro Slack channel, we can all share ideas! Apart from the developer forums, which are mostly focused on APIs and integrations, I’ve yet to find a really solid group of HubSpot-focused technical marketers that want conversation to go beyond “13 Funny Animated GIFS about Email Marketing” posts. 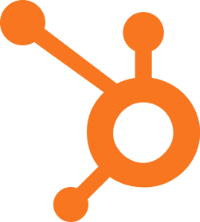 Mastering HubSpot is focused on advanced topics that aren’t covered anywhere else, with a few exceptions. If I think the official docs are missing critical info about a basic topic, I’ll cover it. That said, most lessons don’t require programming. You have lifetime access to the content and it’s designed to help you push your limits and become a technical marketer. A handful of lessons use Enterprise features, but I always try to give an alternative method for Basic customers. Nope. I know a lot of HubSpotters personally and love using the product. One of the things I love about HubSpot is how fast they implement new features and enhance existing ones. But that also means the interface changes quite often. I will only offer this course 3 times per year so I can ensure the lessons match how HubSpot works and what it looks like on your screen. NOTE: If you purchase now, you’ll get lifetime access to any future versions of this course (with updated lessons based on new features). Email me directly. I’m happy to answer any questions and help you decide if this course is right for you.